Data in Adobe Analytics is stored in “Report Suites”, we mentioned that before. Those Report Suites have a name which is usually human readable and descriptive. It is what your friendly marketer uses when he tells you where data should go or where you can find it. He also use it himself when he decides what data to look at. 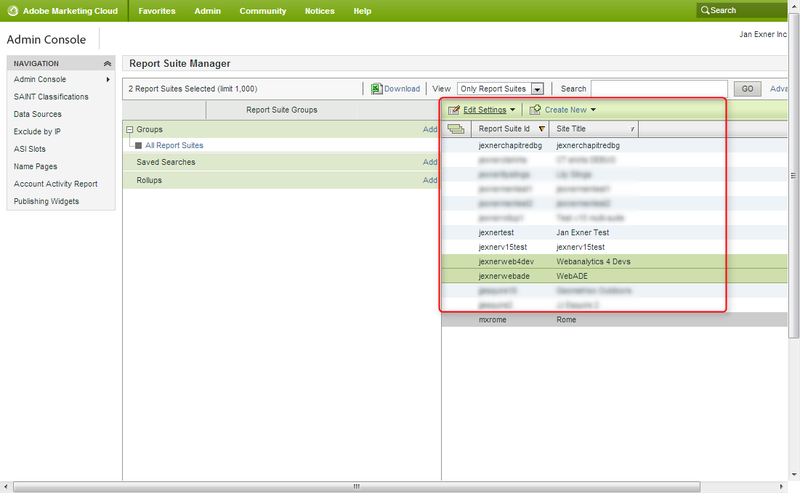 Now technically, report suites are identified by a “Report Suite ID” or an “rsid”, not their name. As a developer, you’ll definitely come into contact with the rsid more often than with the name. That raises a question: how can you find the rsid when your friendly marketer talks about a report suite name? The SiteCatalyst UI has an Admin section which allows the marketer to administer various aspects of tracking as well as users, permissions and so on. If you have access to the Admin panel, the easiest way to map a report suite name to an rsid is to look at the list of report suites. As an example, the rsid for “Jan Exner Test” is “jexnertest” according to the screenshot above. If you do not have access to the Admin panel, your friendly marketer can still look the rsid up for you. The other way is to find the rsid yourself. This works if you know which web site is tracked into the report suite. Find the s_code.js file. At the top, you will see a value being assigned to the s_account variable. Voilà, that’s your rsid. Using a debugging tool of your choice, look for the actual tracking call being made. You will notice the characters “/b/ss/” in the call URL. What comes next is the rsid. We call that “multi-suite tracking”. It basically means the tracking data will go into more than one report suite. If that’s the case, you will have to resort to method one: ask your marketer which one you should use. Our guess would be that if you develop something that is related to tracking (i.e. put data into Adobe Analytics), you will likely use the exact same list of rsids, whereas if you’re supposed to automate reporting (i.e. get data out of Analytics), you really need to know which one it is. 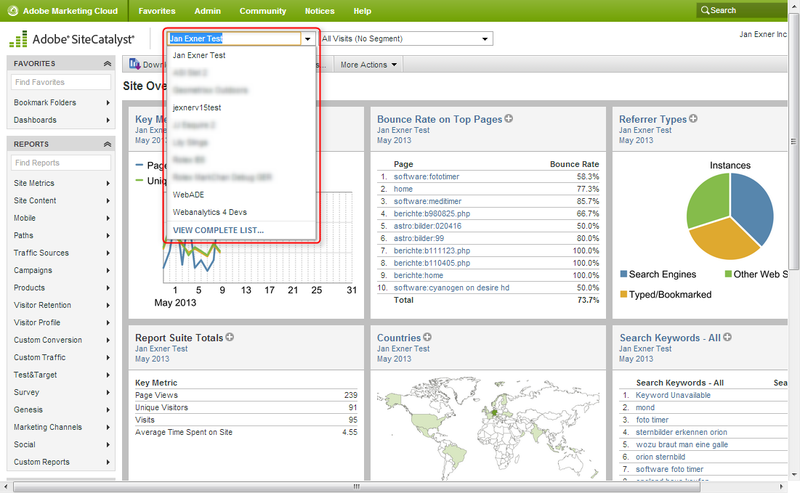 You can also “inspect element” on drop down for Report Suite selection in site catalyst. There should be a “data-rsid” attribute. Would that be the rsid? Yet another good way to find it, thanks for that!